With fantastic efficiency, a relaxing cabin, and advanced safety technology, the 2019 Toyota RAV4 is the ideal SUV to upgrade your daily drive. Take advantage of our amazing new 2019 Toyota RAV4 lease offer below to drive home in the new SUV you've been eyeing at a great price. *36 month/30,000 mile leases (Tacoma lease = 24 months/20,000 miles) with $3,999 cash or trade down. First months payment, taxes, $650 acquisition fee, $349 dealer documentation fee and registration costs are extra. (.15 per mile excess). Lessee must qualify for Tier 1 or 1+ plus credit with Toyota Lease Trust. Zero Security deposit. Corolla LE: #1852 (MSRP $20,299). Camry LE: #2532 (MSRP $25,544). Rav4 LE AWD: #4432 (MSRP $28,354). Highlander LE AWD: #6948 (MSRP $36,279). Sienna LE: #5338 (MSRP $35,632). CH-R: #2402 (MSRP $22,308). Tacoma Double Cab SR5 4×4: #7540 (MSRP $36,112). Tundra SR5 Double Cab 4×4: #8340 (MSRP $38,608). 4Runner SR5: #8664 (MSRP $37,599). Subject to availability. Lease specials apply to in stock vehicles only. All photos are not actual vehicles and for illustration purposes only. Offers expire 03/31/2019. Discover the spirited performance and innovative design of the new RAV4 today by browsing the new inventory at our Toyota dealership in Braintree, MA. 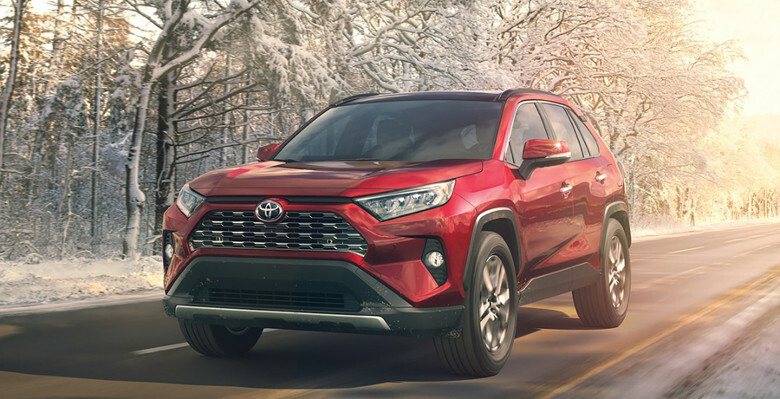 For more details on our 2019 RAV4 lease deal or other great offers, visit our finance specials page. If you have any questions, get in touch with the Toyota of Braintree team through our contact form or by calling (781) 848-9300.